According to senior authorities for Brandenburg’s Department of Historic Preservation who should be the ones to understand such matters – the historical stables at Stülpe Manor possess a quite unique beauty. A domicile full of character that is in remarkably good shape for its age. It may have admittedly undergone some treatment in recent years to nurse it back to health, over the course of which the assiduous building has been given a new function and a sophisticated make-over. But the rejuvenation process was done with tact and respect for a long, eventful life. After all, old houses do have a soul. Not only the outside but also the inside of this horse dwelling is richly decorated. On the eastern side, a brick trough runs the length of the wall, aligned with which can be found the box stalls. This generously proportioned stable is lined with brightly coloured floor tiles by Zahna while the walls are covered with rare Meissen tiles in a black- and- white checker board pattern, catering for exclusivity. The stables are ranked among the most beautiful of its kind in Brandenburg. Today it has room for fifteen horses. In other words: If you bring your own horse, we can most certainly find room for it. The remainder of the stables is now occupied by two spacious maisonette-style guest suites, which make for an intimate proximity between humans and animals. Horse aficionados spending their equestrian holidays at Stülpe can be serenaded to sleep by the blowing and neighing sounds of their own animals. Equestrian sports, horse-breeding and hunting once played an important role at Stülpe. One name stands out from the pedigree of the family von Rochow. Friedrich von Rochow won the silver medal on his horse Idealist at the horse trials of the 1912 Olympic Games held in Stockholm. Around 1930, a total of 44 Trakehner horses were stabled in Stülpe. Hans Wichard von Rochow owned three excellent saddle horses by the names of Wiesbaden, Bonn and Prachtrose (Glory Rose). However the von Rochows independent horse breeding happened on a very small scale. The family placed a far greater emphasis on hunting, which. It began in the fall with partridges and pheasants, followed by battues of red and fallow deer. Their preferred hunting ground was, no different then as it is today, the Golm. We are aiming to become an exclusive meeting point for true and ambitious equestrians as well as recreational riders. At the moment, we are bringing a great amount of passion and know-how into the construction of our large-scale complex of riding stables. Maintaining the historical substance of the manor, it is going to offer all conceivable comfort for horse and rider. Soon we will proudly be able to assist you in indulging your passion for horses. And, above all you will experience relaxation, adventure and exclusivity with us close at hand. Our plans include species-appropriate pens, generous box stalls with access to paddocks and spacious meadows. Moreover you will be able to take riding lessons at Grand Prix level which will take both beginners and advanced riders from trot to canter. We are particularly pleased to have been granted planning permission for the construction of a 60 x 20m riding arena; therefore there will be ample room for the most challenging and performance-oriented riding. 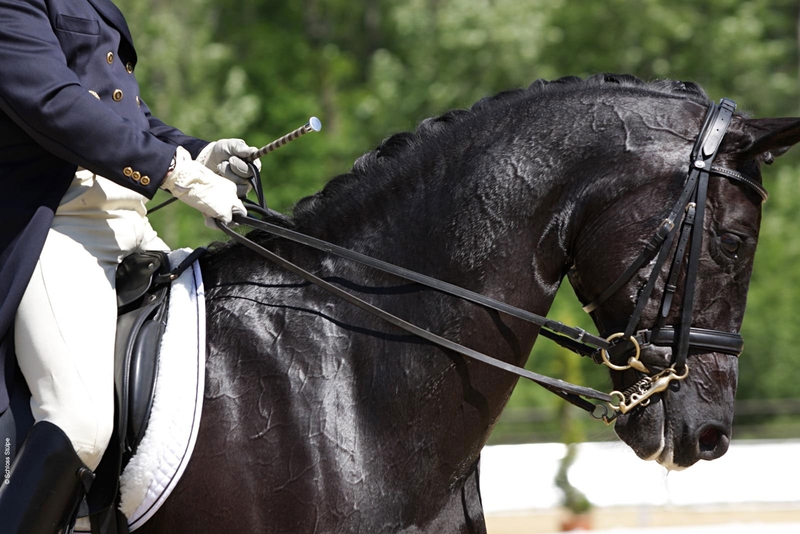 Professional riding instructors will be on site at all times in order to introduce you to the first steps, the final secrets and the Grand Prix-standard of dressage riding. We also aspire to be an oasis of wellness for your horses. We take time for your horse to find its herd. We pamper it with our organically farmed meadows of herbed grass and our on-site orchards and we will lovingly nurse even the most difficult equine patients back to health. But that is not all. Boasting a varied and spacious countryside, the Flaeming Heath around Stülpe provides a unique experience for both horse and rider. It is the perfect place to give full rein to your passion for trail riding. Let us show you the most beautiful trails through southern Brandenburg. As an official riding station, we are open to everyone wishing to finish their riding holiday on a high note with first-class accommodation, excellent hospitality and wellness. We offer nationwide seminars on classic horse riding training, all held by renowned trainers in the field. You can book regularly seminars, from which you can graduate with a qualification from the German Riding Association (Reiterabzeichen). Do not forget to check back to learn more about our activities! Planning is under way for a new riding centre with indoor and outdoor riding tracks and a trail riding station. Our offer will include riding lessons, guided rides, holidays with your own horse and trail rides lasting several days.